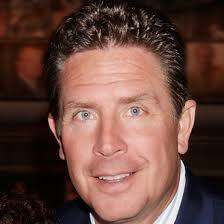 The Family Café is excited to let you know that NFL legend and disability advocate Dan Marino will be in attendance at The 16thAnnual Family Caféthis June! Of course, Dan Marino is best known for the seventeen seasons he spent as quarterback of the Miami Dolphins, which led to him being inducted into the Pro Football Hall of Fame in 2005. But did you know that he is also the parent of a child with autism, and an active disability advocate? 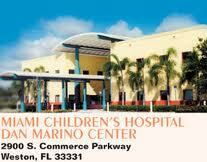 He and his wife founded The Dan Marino Foundation in 1992 to help children with autism and other disabilities. Since then, the foundation has distributed over $22 million to research, services, and treatment programs. His foundation also established The Dan Marino Center at Miami Children’s Hospital in 1995, and recently launched the Marino Campus in Fort Lauderdale to provide education and training to help young people with disabilities acquire job skills. The Family Café is pleased to let you know that Dan Marino will be on hand to share his advocacy message, and perhaps some NFL memories, at The Annual Summit on Disabilities on the evening of Friday, June 6th. Governor Rick Scott has also committed to attend, as has long-time Family Café supporter and Education Appropriations Subcommittee Chair Bill Galvano. This year’s Summit is sure to be a memorable occasion, and we definitely want to see you there! If you haven’t already registered for The 16th Annual Family Café, why not take a minute to do it today? In addition to The Annual Summit on Disabilities with Dan Marino, we have a full slate of informative breakout sessions, a full Exhibit Hall and plenty of family-friendly activities in store. It should be an amazing event! The 16th Annual Family Café is set for June 6-8 at the Hilton Orlando, and there is no cost for families to attend. We even have limited financial assistance available to cover the cost of on-site accommodations. To register, visit our website. We will look forward to seeing you there!